I decided to loose weight finally due to many reasons. I had gained a large amount of weight with my second pregnancy because I was placed on strict bed rest for 3 1/2 months. I thought that the weight would come off easier than it did. I ballooned up to 190 lbs. I had high blood pressure and was placed on meds, borderline high cholesterol, food addiction and had numerous unexplained symptoms such as numbness, tingling, leg weakness, etc. 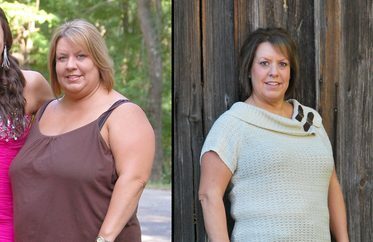 After visiting numerous doctors, they kept coming back to the simple fact that I needed to loose weight. I tried so many things, but slowly the weight would creep back up. I went to specialists that recommended detoxifying my system. I fluctuated between 176 and 165. I finally decided to take things to the extreme – it was time to set a date. I picked a figure competition in October. I knew that if I had to walk on stage in a tiny bathing suit in front of hundreds of people, I would loose the weight for sure. No more excuses. I needed to be healthy for my children and husband. I started with eliciting the help of my very knowledgeable brother for my diet and nutrition. He made a weekly diet plan for me and adjusted according to my gains. Because we share the same genetics, he could almost predict exactly how I was going to respond to the changes. It was utterly amazing. He still helps me weekly now as I train for the Arnold Amateur. I don’t know what I would have done without him. He is truly a selfless person. I have always looked up to him. The other piece to the puzzle was to invest in a trainer. I found an excellent trainer who listened to me and came with a wealth of experience/knowledge. He also made weekly changes to my training that my body responded positively too. I couldn’t believe the changes taking place. My trainer told me in the beginning that his workouts would be different than I probably ever did before. He was right, but I trusted him. The final piece of the puzzle was the help and support of my husband. He put up with my tough days of dieting and training. He encouraged me, pushed me, supported me and never complained. Without all of that, I would have never made it this far. Seeing him in the audience, smiling at me, while I was on stage, was a moment I will never forget. He continues to support me and is currently training for his first show. It has been an awesome experience and brought us closer together. At my competition I weighed 116 lbs. 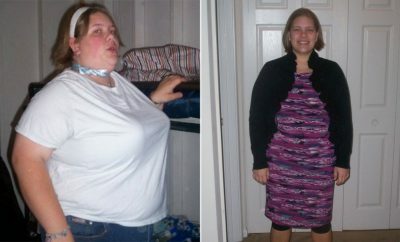 So from start to finish, after pregnancy, I lost over 70 lbs. 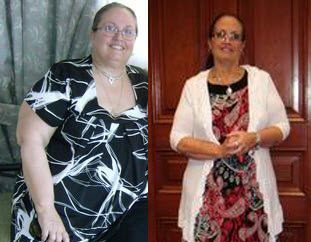 I lost about 60 lbs in 6 months. 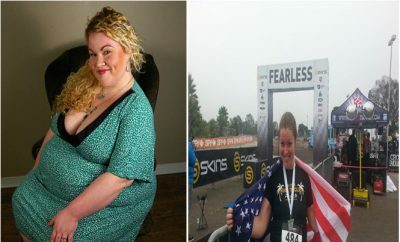 I walked on stage confident, healthy, and proud. My family was proud of me and hopefully I can inspire other mothers and women. Even though your life may be stressful, out of control, full of angst, you can manage to turn it around and take control. It is possible. Now I can handle stressful situations with a level head. I am currently training for the Arnold Amateur. I am also now a sponsored athlete by MHP. They also asked me to be in an ad for one of the supplements I used during my weight loss journey. I did a total body workout 3 days a week, with high reps, little rest periods, with sprinting intervals in between. It would include things such as walking lunges, jump squats, bicep curls, tricep pushdowns, shoulder press, squats, bent over rows, standing rows, and push ups all in one rotation. After every 3 exercises, I would sprint on the bike for 2 minutes and then return to the rotation for a total of 3 giant sets. I would be dead at the end. This is just an example, it would change weekly. Some weeks I would do a pyramid session. It was grueling. I also did double 45 minute cardio sessions per day. Tough stuff on low carbs.